EX-Melbourne-trained Sovereign Nation will have his first start for Matt Dunn at the Sunshine Coast. The signs are Sovereign Nation can rekindle his Group One form when he makes his debut for trainer Matt Dunn in the Listed Sunshine Coast Cup. Saturday’s Cup (1400m) is the last feature race of the Queensland summer carnival and brings together diverse form lines including former and current Godolphin horses, ex-Melbourne and top Queensland horses. The Natale McCall-trained Spectroscope and the Diane Murphy-trained Astoria and Peacock, are former Godolphin horses running in the Cup while the global operation has the favourite Gaulois. Sovereign Nation has been given top weight of 59kg on his rating which is mainly based on his form in the spring of 2017. He ran second in the Group One Toorak Handicap and fourth in the Group One Rupert Clarke Stakes that year. Since then he has won one race, a handicap at Flemington in March. After an average spring, it was decided to move Sovereign Nation out of the David Hayes, Tom Dabernig and Ben Hayes yard to Dunn at Murwillumbah. Dunn said the gelding had settled in well and was ready to race well fresh. 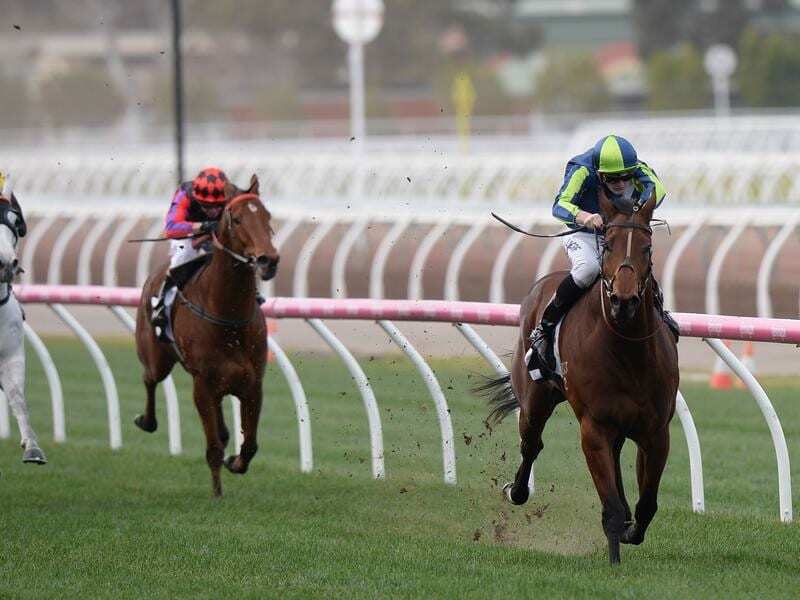 “He has a handy first-up record and don’t forget this is a horse which also ran fourth in the Caulfield Guineas a younger horse,” Dunn said. Sovereign Nation will be having only his third run in 32 starts on a clockwise circuit after finishing fourth in the Tulloch Stakes and 10th the Australian Derby as a three-year-old. Dunn has no worries about him adapting to the big Sunshine Coast track. The trainer is likely to give Sovereign Nation a light summer with the winter carnival in mind. Stablemate, the unbeaten Snow Valley, was nominated for the three-year-old sprint at Randwick on Saturday but will not run. “I wasn’t happy with the way she worked on Tuesday and will give her a break before the winter,” Dunn said.